Description: *No description* Legend tells of pirates for terrifying they transform into malevolent beings who plunder more than just physical treasure. They be after ye blood! 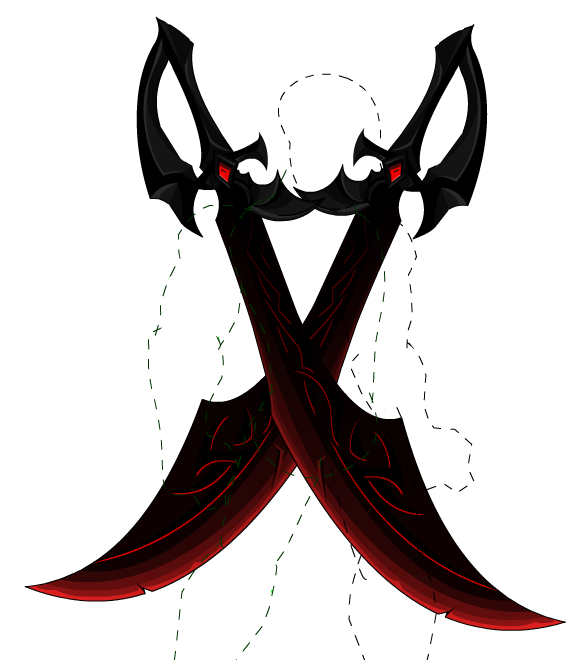 Vampire Commander's Malevolent Backblades (0 AC). Vampire Commander's Malevolent Cutlass (0 AC). Vampire Commander's Malevolent Cutlass (AC).